The largest city in Alberta, Calgary was put on the map when it hosted the 1988 Winter Olympics. During the last century Calgary has grown from an agricultural town of ranchers into a vibrant cosmopolitan centre. Calgary was Canada’s oil producing region for most of the twentieth century. The oil boom in the mid 1940s was largely responsible for the city’s rapid economic growth until its collapse. It gradually recovered in the 1990s along with a renewed economic diversification and significant investments in the tourism sector. Calgary’s city centre comprises the Downtown West End, Downtown East Village District, the Downtown Commercial Core, Eau Claire District and Chinatown. An ever-evolving night life and dozens of events of cultural and artistic interest animate the city. The natural beauty of the surrounding areas draw thousands of tourists yearly to resorts like Banff, the Canadian Rocky Mountains and the Canadian Prairie cowboy trails. With its 1, 200, 00 people, metropolitan Calgary lies in the southern portion of the Canadian province of Alberta. This area of western Canada is in the heart of the great grassland expanse known as the Canadian Prairies. The Canadian Rocky Mountains lie 80 km west of the city. There are two major rivers running through Calgary, the Bow River and the Elbow River. Calgary is entirely surrounded by one of the largest parks in North America, Fish Creek Provincial Park. The city was given its name toward the end of the 19th century by a Scottish militia officer living in Alberta who decided to name it after Calgary Bay in Scotland. By 1883 Calgary was a thriving agricultural and trading centre. It was heavily guarded by the Royal Canadian Mounted Police who was assigned to the area to protect the interests of the plains from unwanted American incursions. Such visits, which were not infrequent at the time, were a constant threat to the interests of those who exploited the land and its resources. The oldest Canadian company, The Hudson’s Bay Company, established a fur trading post and opened the first department store in Calgary. The availability of thousands of acres of flatland favoured agriculture and farming which became fundamental for the local economy until the first discovery of oil in 1902. Calgary’s economy exploded with the discovery of new oil reserves in 1947 and high oil prices as a result of the oil crisis in the 1970s. The Canadian Prairies are known for their extremely frigid winters but Calgary enjoys slightly warmer winters thanks to the city’s geographic proximity to the Rocky Mountains, whence a warm wind blows raising temperatures by as much as 20 ºC. Average winter temperatures are -3 ºC (max) and -15 ºC (min). Compared to other Canadian cities like Toronto and Ottawa, Calgary summers are not humid. Average summer temperatures range from 24 ºC to 29 ºC from June to August. The city’s nickname is “cow town” due to the presence of the vast grassland traditionally used by ranchers for cow herding. The Bloody Caesar, Canada’s best selling cocktail was in vented in Calgary. A 4-hour flight from Toronto International Airport will get you to the small but efficient Calgary International Airport (YYC). Calgary Airport serves Alberta, the surrounding areas and Canada with flights to all major North American Cities, and the rest of the world. The terminal is divided into three concourses, A, B, C, with separate wings for international flights to the United States and international flights to other world destinations. Downtown Calgary is 19 km, that’s about 20 – 30 minutes without traffic. It can be reached via public transportation, taxi, car rental, and airport limousine. Public transportation in the city is operated by Calgary Transit. The company provides express service to Calgary via Airport BRT. Route 300 is connected with Downtown Calgary and costs CAD$8.50, exact change. You can purchase transit passes at the Airport Arrivals level at Mac’s Convenience Stores or at the Bus Bay 7 ticket vending machines with a credit or debit card or with cash. The Calgary Transit station is located at Bus Bay 7 & 8 across the Arrivals. The C-Train is Calgary Transit’s light rail system operating within the city. The rapid transit line is called BRT and has a direct link to the Calgary International Airport. Transit fares to get around the city are CAD$3.00 for adults and CAD$2.00 for youths (6-17 years old). Children under 6 years travel free when accompanied by an individual who has paid the fare. A book of 10 tickets will cost you CAD$30.00 for regular adult fare, a single ticket is CAD$3.00. Monthly passes for adults are CAD$96.00 and CAD$60.00 for youths (6-17 years old). Day passes are CAD$9.00 for adults and CAD$6.25 for youths. They can be purchased only at ticket vending machines at the C-Train stations. Alberta’s coach company departs daily from Calgary International Airport with destinations to Edmonton, Red Deer, Lethbridge and Fort McMurray. The 3.5-hour ride to Edmonton costs CAD$70.48. Hotel courtesy shuttle service is limited to a dozen hotels, many of which are in the vicinity of the airport. Visit the Airport website for more information about hotels and shuttle schedules. The Calgary Airport Bus Bays 16 and 17 customer pick up areas have phones where you can call your hotel to request shuttle service. The Airport Allied Downtown Shuttle (403-299-9555 or 1-877-299-9555) service departs every 30 minutes from Bus Bay 19. Tickets can be purchased at the Allied Shuttle counter in the Arrivals level near Gate C. This is an on-demand service with a cost of CAD$15 for one adult (one way). The shuttle service has a no pets policy. The city of Calgary ensures round the clock taxi service at the Calgary International Airport. Associated Cab Taxis are located on the Arrivals level and are metered. A cab fare to Downtown Calgary is approximately CAD$40 – CAD$45. The Airport Sedan service is also located on the Arrivals level next to the taxi station and costs about CAD$46.50 to Downtown Calgary. A number of chauffeured airport limousine services are available with rates that vary according to the number of travellers, routes and type of vehicle. Car Rental areas are located on the Departures level. From Avis to Thrifty and Budget, all the major car rental companies are present at the Calgary International Airport. Off-airport car rental locations can be reached via courtesy shuttle service available at the Airport Bus Bay 21 on the Arrivals level. Calgary has three organizations offering car sharing options for different transportation needs: car2go, Calgarycarshare, Student carshare. The University of Calgary also has an affordable student car share program. Rates start at CAD$6.00 and include insurance and gas. The city of Calgary has been debating a bike share program for some time, this is partly due a lack of funding and enthusiasm for the program itself. In short, a city-wide bike share program in Calgary has yet to see the light. However, bike enthusiasts should take heart from knowing that Calgary is not without bike rental services. Three-speed bikes can be rented for CAD$8.00 per hour or CAD$35.00 per day. Contact BikeBike at 403-457-2453. Calgary has a cosmopolitan outer shell with a cowboy soul. The city core is clustered with night clubs and music venues that alternate with western-nostalgia saloons. From classical music to Indie and Jazz, the music genres you can find in Calgary night clubs are varied. Visit this city for an updated listing of events, concerts, shows and happenings in and around Calgary. 613 11th Ave. SW is the home of the Broken City a night club that has been animating the Calgary entertainment scene for the past 10 years. Live entertainment includes soul, rock and roll, Indie, and Hip-Hop. There is a rooftop patio for warm weather partying partying. Challenge your brain on trivia nights or have a few laughs during comedy nights. Ironwood Stage & Grill (1229 9th Ave SE) is a 140+ seat lounge, restaurant and live music venue that is well known amongst the locals. The venue can get crowded therefore reservations are highly recommended. Shows start at 8pm on Sun and Thurs, 9pm Fri and Sat. Situated along Calgary’s Beltline, the Hi Fi Club (219 10th Ave. SW) is a 3,500 sq.-ft. dance club that features alternative music, electronic, and other genres of live music from local and international artists. Stockyards Saloon (7400 Macleod Trail South) draws on Calgary’s cowboy roots and features live bands and nothing but country music to stir your inner rhythm on the 1200 sq.-ft. dance floor. Puro Latino 1809 Night Club’s (658 10 Ave. SW) Latin music heats things up with the rhythm of merengue, salsa, Mambo Dominicano and Reggae. Set on three floors, the Roadhouse (840 9 Ave SW) night club features energized DJs who blast their music while a small dance floor tries to contain a young, mainly local crowd of party-goers. The Elbow River Casino (218 18th Ave SE) is the largest of the three casinos in Calgary, but don’t expect to find the glitter and grandeur of Sin City. This casino is just another large entertainment complex with a relaxed atmosphere. If you have never visited a Yuk Yuk’s comedy club head over to the casino on Thursdays, Fridays and Saturdays for a few laughs. The large HDTV screens at Sammy’s Sports Bar features large HDTV screens with all the Calgary team games. The Bayou Stage is a dance and live music venue within the casino complex. If you decide to venture over to the slot machines, Poker or Blackjack tables make sure you adhere to the casino’s responsible gaming rules. The Calgary Philharmonic Orchestra performs at the EPCOR Centre Jack Singer Concert Hall (205 8 Ave SE) downtown Calgary. If you think the venue is only for classical music, think again. Concerts and events include movie sound tracks, pop music, children’s musicals, fashion shows, modern music classics like Gershwin, traditional French music icons music like Edit Piaf, Maurice Chevalier, Charles Aznavour and Jacques Brel, Christmas sing-a-long concerts, and classic rock hits from Aerosmith to Led Zeppelin. Twisted Element (1006 11th Ave SW) is part of Calgary’s gay scene. The club’s dance floor and pool tables are crowded with locals and visitors who mix, mingle and enjoy the drag shows. The atmosphere at Wine-Ohs (811 1st SW) is reminiscent of Jack Kerouac’s novel The Subterraneans, where the San Francisco beatniks congregated and drowned their sorrows in poetry, psychedelic fantasies and improvised jazz music. You won’t find Kerouac, but the jazz and retro atmosphere are all there. The RePublik (219 17th Ave SW) features live music alternative country music, Indie, Hip-Hop, punk, pop, and folk music. The Palomino (109 7th Ave SW) features local and international artists who perform a variety of musical genres. Close to the Calgary Tower and the C-TRain stop, the venue is open until 2am on Fri and Sat. Dickens (1000 9th Ave SW) in Calgary’s west end features nightly rock, punk and hip hop live acts set within its dark boiserie-decorated interiors. The large stage hosts weekly variety shows. A city with a sports culture it can be proud of, Calgary gained international recognition when it hosted the 1988 Winter Olympic Games. The Olympic Park serves as a well known destination for winter sports like downhill and cross-country skiing, hockey and speed skating. Calgarians are also active in warm weather sports like golf and fishing, thanks to the presence of popular golf courses and rivers. On the rougher side of things, Calgary has a tradition rooted in professional wrestling dating back to the early 1900s with the city’s Hart Wrestling Family. Calgary’s professional sports teams, like most things in Calgary, have names reflecting its cowboy and oil drilling roots. The Calgary Stampeders of the Canadian Football League, the Calgary Flames of the National Hockey League and the Calgary Roughnecks of the National Lacrosse League. The Calgary Stampeders have had a successful career since they were founded in 1945. They have appeared in 13 Grey Cup Championship games and won the Grey Cup Championship 6 times. The third-oldest active franchise in the Canadian Football League plays its home games at the McMahon Stadium. No sports culture in any Canadian province would be complete without a hockey team. Calgary is represented by the Calgary Flames who were preceded by the defunct Calgary Cowboys in the 1970s. Born as the Atlanta Flames in Georgia, the current Canadian team has its roots in the Deep South. When the team relocated to Calgary in 1980 it played several games at the Stampede Corral before making Scotiabank Saddlehome its home. The Calgary Flames won their only championship in 1988-89. The popular downtown Calgary bar, the Flames Central, was created in the spirit of the city’s hockey team. Also known as the “Riggers” to Calgary Roughnecks fans, the young box lacrosse team has qualified for the post-season ever since it was founded in 2001. The Roughnecks are two-time winners of the NLL Champion’s Cup and also won three division championships. Part of the junior league the Calgary Canucks have been part of the Calgary sports scene for over 40 years. The Canucks have a record of division and season title winnings. They won the Doyle Cup in 1988 and 1995 and the Centennial Trophy in 1995. They play at the Max Bell Centre. The sports arena is located at 1817 Crowchild Trail, near the CTrain station and the University of Calgary. The area is clustered with restaurants, bars and places to stay. Restaurants Bit T’s BBQ and Smokehouse (2138 Crowchild Trail), Domino’s Pizza (2008 Crowchild Trail), Rocky’s Sports Bar & Grill (1804 Crowchild Trail) and Postino Cafe & Lounge (2520 Capitol Hill Cres). Hotels: Comfort Inn and Suites University (2369 Banff Trail), Holiday Inn Express and Suites Calgary University (2373 Banff Trail Northwest), Super 8 Village Calgary (1904 Crowchild Trail NW), Best Western Village Park Inn (1804 Crowchild Trail NW). The indoor arena is located on the east end (555 Saddledome Rise SE) of Downtown Calgary and is home to the Calgary Roughnecks and the Calgary Flames. The area is serviced by a number of restaurants, lounges and hotels. Jugo Juice (555 Saddledome Rise), Melrose Cafe & Bar (421- 12th Ave. SE), La Vita E Bella (401-12th Ave SE) and Zen 8 Grill (421- 12 AVE SE). Hotels in the area include Vetro by O Hotel Suites (210-15th Ave. SE), The Westin Calgary (320-4th Ave. SW), Ramada Calgary (708-8th Ave. SW), Fastlane Suites Grid 5 (618-5th AVE. SW). During the 1989 season the Calgary Flames played in what was then known as the Olympic Saddledome because it was built for the Calgary Winter Olympics. The Calgary Flames were called the Atlanta Flames before moving to Canada from the United States. The name is an inheritance of the American Civil War when Atlanta was burned to the ground. Calgary has some of the largest parks in the country with nature trails, natural reserves, amusement parks and beaches. Visit the City of Calgary Parks and Recreation website for an exhaustive list of parks, trails, bikeways, off-leash parks, bird sanctuaries, heritage parks, recreational activities and sports sites in and around the city. Previously called the Flintstone Fun Park, Calaway-Park is situated 10 kilometres west of Calgary (Trans-Canada Hwy West) in Rocky View County. Licensing rights from Hanna-Barbera Productions were acquired in 1979 when The Flintstones cartoon was popular. The park has all the traditional sites and rides of an amusement park: roller coasters, water rides, games and food kiosks. The Park opens on Victoria Day weekend and generally closes in October. General admission tickets cost CAD$35.95 plus tax. During the 1988 Winter Olympics Canada Olympic Park was the venue for luge, bobsledding and ski jumping, among other things. Today the park is owned by the former Calgary Olympic Development Association and it is used primarily for sports and recreation. Conveniently located 15 minutes from Downtown Calgary the park is visited by 300,000 winter sports visitors each year for year round sports. 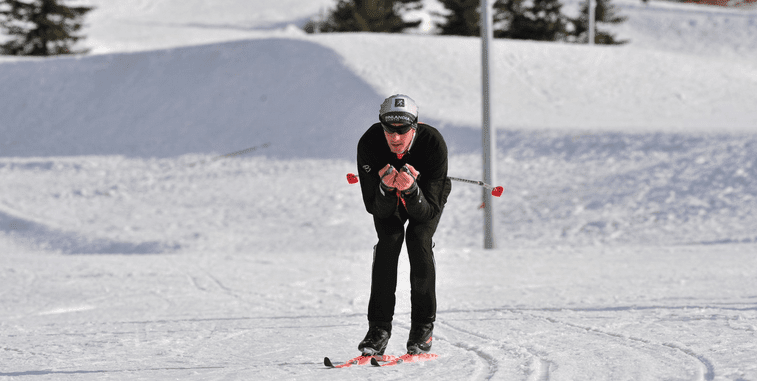 The Canada Olympic Park Ski Hill features a beginner terrain for newbie skiers and snowboarders, alpine slalom courses, freestyle ski venues, snowboarding areas with small obstacles and features, ski jumps, cross-country ski trails and biathlon ranges. The Frank King Day Lodge at foot of the hill is where you can rent sports equipment and refuel before you head out to the ice arena. During the summer the Canada Olympic Park ski hill becomes a mountain bike park with downhill and cross-country trails, if you like riding on dirt. If you prefer more relaxed activities visit the 18-hole mini golf course or the Sports Hall of Fame. The Children’s Activities area has a climbing wall and a spider web where children must try to climb their way to the top without getting “trapped” in the web. Tickets for mountain bike rentals start at CAD$31.00 for adults. Season passes for families start at CAD$910.00 and CAD$375.00 for adults. Take the South line Heritage C-Train to Heritage Park Historical Village and explore the 127-acre park and Canada’s largest living history museum. Much of the “historic” setting has been recreated and many of the buildings have been transported to the area, but the setting still makes visitors feel like they’re stepping back in time. The horse-drawn carts, steam locomotives, antique vehicles and artifacts are a full immersion in 19th century Canadian life. The village is divided into four distinct areas with historical importance. The area’s trading and commercial past is highlighted in the Hudson’s Bay Company Fur Trading Fort which dates back to 1864. The steam locomotive of the early 20th century Railway Prairie Town section references the importance of transportation when Calgary became an important commercial and agricultural centre. The Gasoline Alley Museum is a great place to see dozens of antique cars. Self-guided tour brochures are available at the front gates in five languages. East of downtown Calgary is the location of Fort-Calgary-Historic-Park a 40-acre park that celebrated its 100th birthday in 1975. Built in 1875 the construction fort was initially called Fort Brisebois and was used by the North West Mounted Police to safeguard the commercial trading interests of the colony and to keep whiskey traders out of the area. Even if you’re not particularly interested in history the Interpretative Centre makes the history of Fort Calgary a compelling and fascinating insight into the city’s history and roots. A lot of care has been put into the organization of this heritage site and even if you plan a short visit you might end up staying well beyond your planned time. The park is open daily from 9am- 5pm. Admission for adults is CAD$12.00, CAD$11.00 for seniors and students, CAD$7.00 for youths (7-17 years old) and CAD$5.00 for children (3-6 years old). Children under 2 years of age have free admission. Over three times the size of Vancouver’s Stanley Park, Fish Creek Provincial Park is situated in southern Calgary. The park offers tranquil nature havens where you can spot over 200 bird species like great blue herons, bald eagles, great horned owls, songbirds and red-tailed hawks. Sikome artificial lake is where Calgarians cool off each summer. The beach opens in June and closes in September. If you plan to visit you can access it via Bow Bottom Trail S.E. or Sun Valley Boulevard S. E. off Highway 22x. If you’re driving to the area be sure to follow the parking signs to avoid traffic congestion during peak months. The area is equipped with washrooms, showers and change rooms. It is patrolled by aquatic safety staff with First Aid and emergency services. The park is dissected by the Bow River. The Boat Lanch Day Use Area is at the east end of the park and operates from April to October, weather permitting. After boating across the river you can head over to the 18-hole Mckenzie Meadows Golf Course where you can hit your irons. Don’t forget to bring a picnic basket where you can enjoy alfresco lunch in any of the designated day use areas. The park is clean and well organized and the possibilities to enjoy the outdoors are endless. Calgary has 18 kilometres of pedestrian skywalk network connecting the Core Shopping Centre, a series of shopping galleries and malls. The Plus 15 network is the world’s most extensive skywalk system, with 62 bridges around the city and an elevation of 4.5 metres from the ground. Canada’s luxury department store Holt Renfrew is at the centre of the Core Shopping Centre. This is where you can find fashions with class, style and creative verve from European, Canadian and American fashion designers all under one roof. While Calgary is not traditionally known for its artistic flair, it is not void of creativity or talent in the fashion department. There are a few boutiques with fashion creations from home-bred designers. Manokin Design (233- 10th St. NW) is a Calgary-based company that features young, contemporary fashions for twenty-something customers. Wed Studio at 205- 1802 1 St. NW, is where Calgary fashion creator Laura George creates custom-designed bridal fashions with hand-crafted details and decorations. Market-Mall-Calgary (3625 Shaganappi Trail NW) is a modern shopping mall with a busy underground parking area. This is the largest mall in North Calgary and certainly one of the busiest. The mall is spacious, bright and it has a number of mid-range retailers like Target, Fairweather and Foot Locker. Located at 6455 Macleod Trail SW, Chinook Centre features designer prêt-à-porter retailers like Armani Exchange, Michael Kors, Gap, Guess and trendy Abercrombie & Fitch. The merry-go-round Carousel is always a nice stop for people of all ages. An outdoor market area with a European flavour, Willow Park Village has 60 shops distributed over several blocks where you can go for a leisurely stroll and browse the unique boutique stores. The shopping village is located at the corner of Macleod Trail S. and Willow Park Dr. SE. Marlborough Mall (1464, 515 Marlborough Way NE) is where you can find chain department stores like Sears, Drug Mart and Wal-Mart, a post office and popular card and stationery stores. Located in the heart of downtown Calgary, Banker’s Hall’s (315- 8 Ave SW) sleek modernist complex houses two 50-storey office towers and an upscale shopping gallery which is connected to the city’s Plus 15 skywalk network system. The retail gallery features a handful of exclusive fashion boutiques and restaurants. Banker’s Hall has heated underground parking. Recently renovated, South-central Mall (100 Anderson Road SE) is a welcoming retail centre with a touch of class and a layout that makes it easy to find your way around. The mall is equipped with free Wi-Fi, kids play area, comfortable seating areas and courtesy phones. Its 180 retail stores include well known brand names like Bath & Body Works, Victoria’s Secret, and Sephora. The C-Train station is conveniently located across the street. Calgary’s economic and gastronomic heritage has its roots in the early days of cattle ranching and agriculture. It therefore comes as no surprise that the city abounds in steak taverns and BBQ restaurants with rustic names to match. The choice of Calgary restaurants, however, is not limited to meat and many restaurants and diners feature a veggie and vegan burger alongside the real thing. 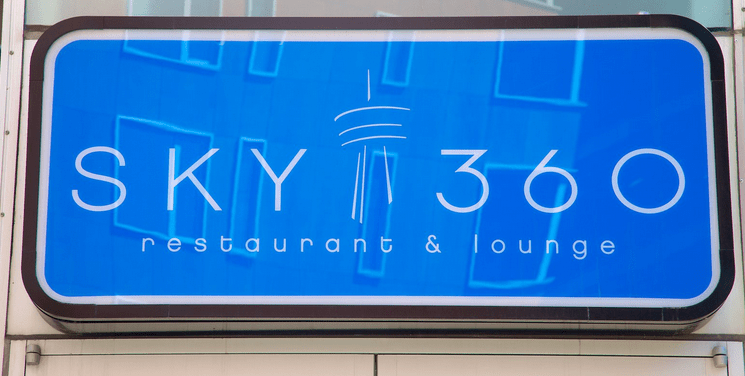 If you fancy dining 600 feet above the city you can dine at the Calgary Tower Restaurant (101 9th Ave. SW) and take in 360 º views of the city as the tower gradually rotates. Dinner can easily top $100 (without beverages) for one person. River Cafe (25 Prince’s Island Park) is a restaurant with ambiance and a high budget. If you don’t mind paying $4 for one oyster you can dine on a menu that is heavy on various types of meat and extremely light on vegetables. Dairy Lane Cafe (319 19 St NW) offers meals at mid-range prices in a casual diner setting. Once again, meat is the protagonist of the menu with a couple of choices for vegans and vegetarians. If you’re visiting Fish Creek Park you can cap off the day with dinner at the Bow Valley Ranche (15979 Bow Bottom Trail SE – Fish Creek Park). Immersed in a rustic country setting, the historic ranch house does not lack character and the atmosphere is enchanting. The food is earthy and creatively presented. The menu includes wild game, seafood and a few vegetarian options. Chicken on the way (1443 Kensington Rd) serves up classic, southern style fried chicken that you can eat on the run if you’re pressed for time. This is literally a hole in the wall with a very limited menu. You won’t get much more than chicken and fries with gravy. This is a take out restaurant without any seating. Clive Burger (736 17th Ave SW) is a classic burger and fries diner with reasonable prices and a simple rule – the more meat you order on your bun the more you pay. The slightly cosmopolitan atmosphere sets this place apart from the usual fast food diner. Boogie Burgers (908 Edmonton Trail NE) is a diner with lots of retro vibe. The atmosphere evokes the burger-fries-and-shake diners of days gone by. The milkshakes come in dozens of flavours, including a renowned peanut butter Young Elvis shake. Blackfoot Truck Stop (1840 – 9 Ave SE) serves up a loving spoonful of home cooking minus the truck stop atmosphere. A local fixture for the past 60 years, the restaurant has been serving a home-made menu to hungry locals and visitors. Without Papers Food truck (1216 – 9th Ave SE) cooks up a thin crust pizza with vegetarian or meat toppings. What this street vendor lacks in speedy service it makes up in taste. It’s worth the wait! Bento Burrito is a mobile street vendor that serves a mix of Mexican and Asian food like tortillas with Asian filling, smoky tofu with nori flakes and spicy Sriracha mayo sushi rice with pickled carrots and smoked salmon. Jane Bond Tapas Truck features a mango bruschetta, meatless meatballs, grilled calamari and chorizo on greens. This street vendor’s food fare goes beyond the truck by catering for parties, and much more. 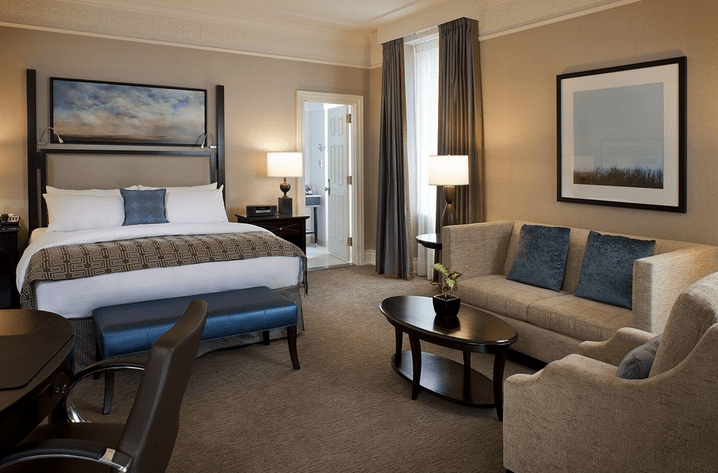 Calgary is a cosmopolitan city with its share of major hotel chains. In this thriving commercial centre the demand for rooms is high and finding anything under $100 per night can be challenging. Finding a hotel deal, however, is not impossible because rates aren’t set in stone and fluctuate considerably during peak and low seasons. Historical hotels are few and far between. There are a handful of boutique hotels that stand out from the crowd. Econo Lodge Inn & Suites University (2231 Banff Trail NW) is quality budget lodging with plenty of amenities. There is free Wi-Fi, an indoor pool, each room has a microwave oven and a refrigerator, a coffee maker and cable TV. A gym, Jacuzzi and Laundry facilities are on site. The average hotel rate is about CAD$90-105. Canada’s Best Value Inn Calgary (2426 26 Ave NW) offers the comfort and value of a quality motel. All rooms have free Wi-Fi, microwave oven and a refrigerator. Breakfast is included in the hotel rate. Parking is free of charge. Pets are permitted on request. Rates start at CAD$100. Days Inn Calgary Northwest (4420 16th Ave NW) is within a short distance from the University of Calgary. All rooms include a microwave oven, refrigerator and a coffee maker. The hotel is minutes from Canada Olympic Park and less than half an hour’s drive from Calgary International Airport. Low and high season rates are respectively CAD$120 and CAD$150. Holiday Inn Express and Suites Calgary University (2373 Banff Trail NW) has an on site dry cleaning facility on site and meeting rooms. Rooms have refrigerators and microwave ovens. Parking is free. The hotel is close to McMahon Stadium and the city centre. Low and high season rates are respectively CAD$135 and CAD$163. A few minutes away from the Golf Canada Calgary Centre, the Glenmore Inn & Convention Centre (2720 Glenmore Trail Southeast) is equipped with luggage storage, there is an indoor pool and a fitness centre. Rooms come with showers or bathtubs. 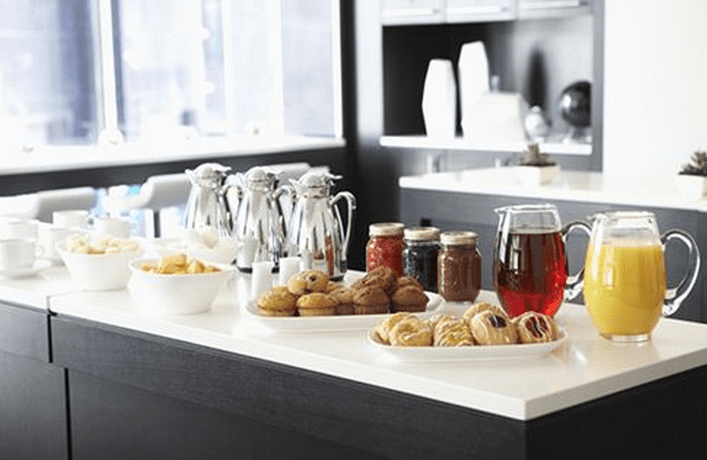 Guests can enjoy breakfast, lunch and dinner at one of the hotel dining facilities. The on-site lounge serves cocktails and drinks. Low and high season rates are respectively CAD$135 and CAD$165. About 25 minutes from downtown Calgary and a few minutes away from the Heritage Village, Grey-Eagle-Resort (3777 Grey Eagle Drive SW) is a stylish hotel with amenities like an indoor pool, outdoor hot tub and a fitness centre. All rooms have a coffee machine and a desk in all rooms and a fitness centre. The hotel caters to special diet menus. Pets are allowed on request. Low and high season rates are respectively CAD$134 and CAD$178. Situated in the heart of the city, close to the Calgary Tower, The-Westin-Calgary is a modern hotel with an urban atmosphere. The hotel features a dining tavern, coffee shop, a state-of-the-art fitness room, a tourist information office, ski storage and rooms with city views. Public parking is available without reservations and it costs CAD$38 per day. High and low season rates are respectively CAD$350 and CAD$122. Located within the casino complex the Deerfoot-Inn-Casino (11500 35th St SE) is a family hotel with an indoor children’s pool and water slide, a spa, 5 restaurants, bars, on-demand movies and bathrobes. You can ask for a room with mountain or city views, a refrigerator and a coffee maker in your room. Low season rates start at CAD$179, high season rates are about CAD$230. Easily accessible via public transportation, the Sandman Hotel (888 7th Ave SW) is located downtown Calgary. Amenities include a hot tub and indoor pool, cable TV Channels, safety deposit box, room service, vending machines, a business centre and fax/photocopying services. Families with one child under 2 years of age pay no extra charge. Average hotel rates are approximately CAD $130 – CAD$170. The Hyatt-Regency-Calgary is located at 700 Centre St. SE. This large, 355-room spa hotel features 13 suites, a meeting area, a ballroom and rooms with city views. Rates fluctuate during the year, low season starts at CAD$179 and high season rates start at CAD$230. Located close to the Chinook Centre Mall Hotel Blackfoot (5940 Blackfoot Trail SE) is all about style and attention to detail. The hotel has a gift shop, a sauna, a spa with a massage room, a terrace and a sun deck for catching up on your tan during warm Calgary summers. The nearest golf course is 2 miles away. The hotel’s multilingual staff is always happy to communicate with international clients. Rates are CAD$103 and CAD$195 during low and high seasons. Centrally located, Hotel-Le-Germain-Calgary (899 Centre St SW) is a short distance from the Calgary Tower, the Glenbow Museum and the Epcor Centre. The 10-ft ceiling rooms feature mini bars and free Wi-Fi. Pets are welcome on request (charges apply). Rates start at CAD$209. Kensington Riverside is a boutique Inn is nestled in the heart of Calgary’s Kensington Village. The English country manor appeal and the intimacy of the size (only 19 rooms) are a nice break from the high speed lifestyle of the city. The Georgian façade, both contrasts and complements the modern interiors. This Relais & Châteaux member hotel is home to the renowned Calgary restaurant, The Chef’s Table. 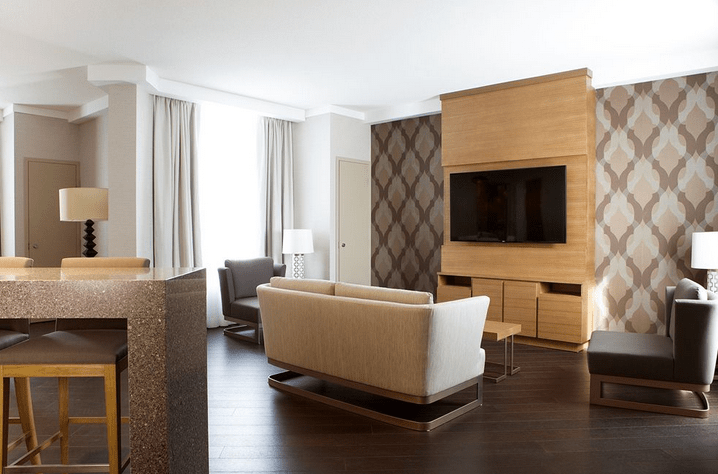 Luxury room rates start at CAD$219, the more spacious Executive rooms start at CAD$259, 428 sq.-ft. Junior Suites are CAD$299. Luxury Suites are 566 sq.-ft, they have private balconies overlooking the Bow River pathway and start at CAD$339. 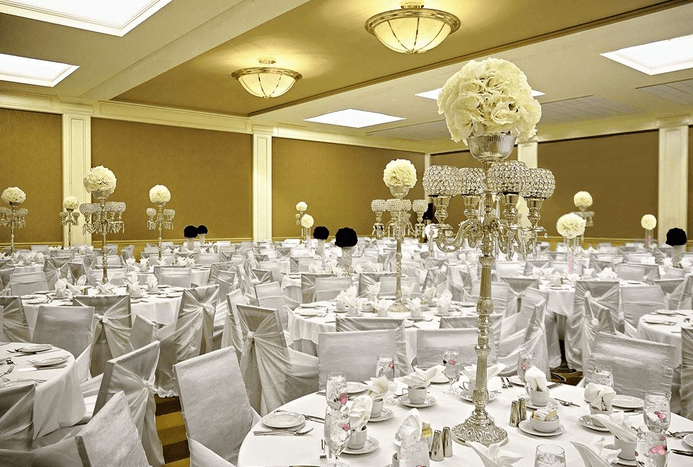 Built in 1914 The-Fairmont-Palliser (133 9th Ave SW) is a historic building with a stately façade that makes a statement of class and aristocratic elegance. The architectural grandeur begins on the exterior and continues throughout the common areas, lobbies and foyers. The rooms have a functional, contemporary decor. If you’re looking for a luxury hotel with character this is it. On-site parking is available, daily charges apply. Room rates for low and high seasons are respectively CAD$199 and CAD$449. Within 3 minutes of Calgary’s Core Shopping Centre is the trendy Hotel Arts (119 – 12th Avenue SW). This artfully decorated hotel features a spa, ski storage, a restaurant and the Raw Bar by Duncan Ly. The recently renovated hotel rooms have a stylish, contemporary look. Low season rates start at CAD$116, high season rates start at CAD$296. Visit Expedia Canada’s page for all things related to Calgary Hotels; from reviews, ratings, and pricing deals. A vacation in Calgary is a great opportunity to visit the spectacular landscape this part of Canada is known for. The city itself can be visited in one day but you shouldn’t miss the opportunity to explore the great Canadian wilderness. Dozens of tour options take visitors to the nearby lakes, mountains, rivers glaciers and waterfalls. Whitewater rafting tours along the river rapids are also available. There are several guided tours of the Rocky Mountains and Jasper. A tour of the area includes the Banff National Park, the breathtaking Athabasca Falls, the Rockies skywalk, Columbia Ice field and Lake Louise. The day-long tours are available from May through October and start at CAD$201.60. Helicopter tours allow you to enjoy unparalleled aerial views of the natural scenery in this part of Alberta – the Canadian Rocky Mountains, Mt. Sparrowhawk and the Olympic Park. You can hitch a helicopter ride from the heliport a short distance from Calgary for a 20, 30, 40 or 50 minute ride. Prices start at CAD$199. View the Canadian Rockies from Lake Minnewanka on the Banff Lake cruise. The small 43 and 65 passenger vessels provide a more intimate experience guides. You can learn about the geology, wildlife and history of these breathtaking. Cruises operate from May to October with hourly departures. Prices start at CAD$46. Get involved by taking a rafting tour of the rapids Kananaskis River Whitewater Rafting tours include transportation from Banff and Canmore and operate from May to September. Prices start at CAD$89 for the 3.5 hour tour and CAD$99 for the 5 hour tour. No experience is required to go on the tours but there are minimum age and weight requirements of 5 years and 40 lbs, respectively. Hop-on-hop-off bus tours of Calgary allow you to visit the city at your leisure, while making stops around the city. Hop off the bus to grab lunch, take photos or visit a specific site, then hop on the bus again and resume your tour of the city. Separate bus tours cover the inner city and the outer city, covering all the major city sites and attractions. Buses leave from the Tower and operate from 9am until 5pm. Prices start at CAD$27. Half-day city tours of Calgary include Old and New City Hall, Olympic Park, Fort Calgary Historic Park, Chinatown, Eau Claire Market Mall, Stephen Avenue, Historical Village and the Saddledome, among other things. The 3.5 hour city tour operates year round, pick up is from the Calgary Tower and major downtown hotels. Tours begin at 7:45 am and are on-demand. Prices start at CAD$56 per person. Columbia Ice Field tour is a geological adventure along the ice age evolution of the Columbia Ice Field. 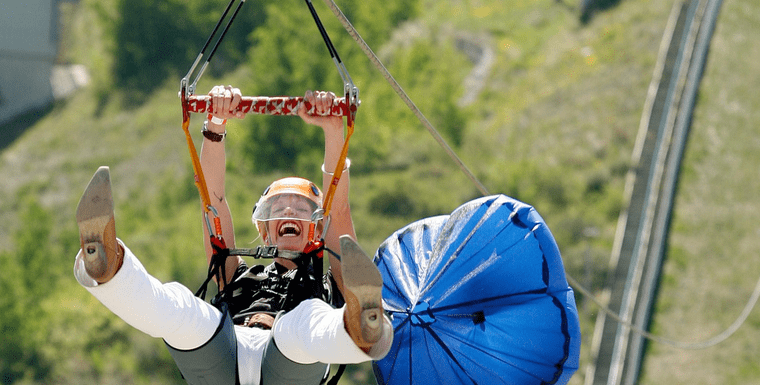 The alpine glacial sightseeing tour includes a daredevil skywalk 280 metres (almost 1000 feet) over the glacier valleys. The tour is 6 ad 14 hour tours start at CAD$155. Beyond Calgary takes you on heritage, cultural and historical tours of UNESCO World Heritage sites like the buffalo jump at the foothills of the Rockies and the Great Plains. This is one of the oldest and best preserved buffalo jumps in the world. This site has a cruel history but it is nevertheless a heritage site and an integral part of the local history. The Blackfoot Crossing Historical Park tour is a day-long tour about 1 hour south east from Calgary. This is the true heritage of the New World where the Blackfoot tribes dwelled before Europeans made their appearance. The Canadian Badlands Dinosaurs tour is in Drumheller, 143 km east of Calgary. The area is a large archaeological site with thousands of fossils, dinosaur skeletons and other specimens. The 5-7 metre sandstone geological formations in the area reference a prehistoric era that goes back millions of years. Calgary city sites and landmark buildings can be visited in a couple of days. The real gems are those highlighting the heritage of the area. Don’t forget to visit the museums which are an immense repertoire of historic, artistic, cultural, human, geological and scientific information to people of all ages. Located across Old City Hall, the public square known as Olympic Plaza (228 8th Ave SE) is the site of the 1988 Olympic medal recipients. It is currently a popular area where Calgarians congregate to celebrate and give awards and recognitions. During the winter it is used as a skating rink. Calgary’s Old City Hall (800 Macleod Trail SE) is a 1911 heritage site. The majestic Romanesque revival architecture building is adjacent to the New City Hall which was completed in 1985 to complement the historic building. Standing 191 metres tall, the Calgary Tower (101 9th Ave SW) offers great views of the city and it is also used as a departure area for many city sightseeing tours. With the help of a headset recording you can learn about Calgary’s city districts and neighbourhoods. Then, if you dare, you can view the city from the glass floor observation area. Adult admission is CAD$18. website. 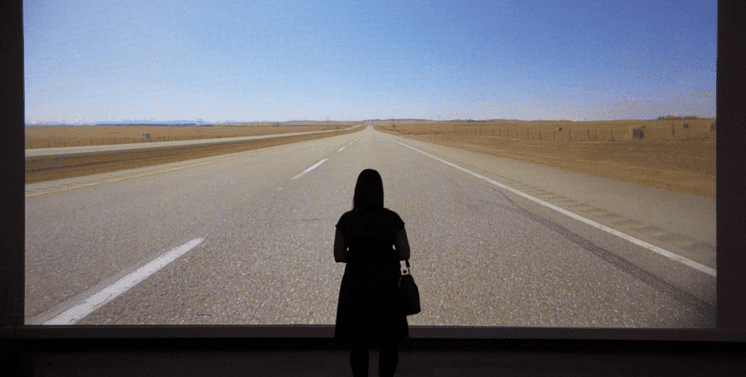 Tour the city indoors via the Calgary +15 Skyway. This pedestrian indoor network is 18 km (11 miles) long with 62 bridges throughout the city. The Skyway is connected to The Core Shopping Centre and dozens of downtown Calgary buildings. This is a great way to get around in sub-zero temperatures. Tucked between Eau Claire district and the Bow River, Calgary’s Chinatown is worth visiting. This is smaller compared to that of other cities but the markets, sounds and colours are worth exploring. Eau Claire Market (200 Barclay Parade SW) is a car-free pedestrian area where you can grab a bite to eat and shop at the plaza market. Later you can wander over to Prince’s Island which is linked to Eau Claire and spend some time in the company of the amusing Canada geese that populate the island. Head over to 8 Ave SW for a stroll along Stephen Avenue Walk. The streets are lined with high ends shops, restaurants, boutiques, pubs and bars. 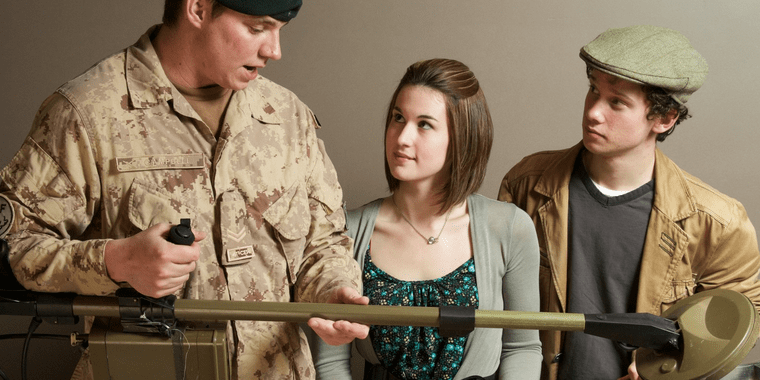 A visit to Calgary’s Military-Museums (4520 Crowchild Trail) is an enriching experience that gives insight into the history of human conflicts and victories during the various wars of our history. The museum represents the history of Canada’s armed forces through a series of lectures, artifacts, artillery, photos and virtual tours. The Military Museums constitute a conglomerate of eight distinct museums and galleries: the Military Library and Archives, the Naval, Army and Air force Museums of Alberta, and the four regimental army museums. The museum is open Mon-Fr, 9am-5pm. Admission is CAD$10 for adults. Parking is free. There is something for everyone at the Glenbow Museum. Situated in Calgary’s cultural district (130- 9 Ave SE) the Museum encompasses cultural, historical, artistic and social elements that reference Western Canada’s epic struggles and conquests. The Museum Library and Archives is the largest non-governmental repository in Canada. There are five permanent collections and a number of temporary exhibitions. The fascinating tour doesn’t end with the historical collections and archives, wander over to the museum shop to delight your eyes with hundreds of unique, colourful items and crafts. Hours of operation are: Tue – Thurs & Sat, 9am – 5pm, Fri 11:30am – 7:30pm, Sun 12pm – 5pm. Adult tickets are CAD$15. 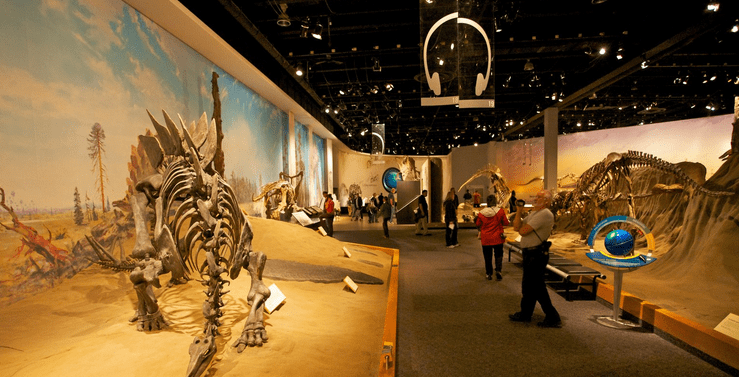 The Royal-Tyrrell-Museum (Midland Provincial Park, Drumheller) is a natural history and science museum that affords a superb opportunity for kids to view life-size dinosaurs – even if it is only in skeletal and fossil forms. Intriguing and educational, these remains give insight into the natural history of the creatures that populated the earth eons before us common mortals. The museum is open 10am -5pm, Tues – Sun from Sept 1 through May 14, and, 9am – 9pm, Mon – Sun from May 15 through Aug 31. Adult tickets start at CAD$13. The 191-metre view of the city from the Calgary-Tower is well worth the climb if you want to get a good idea of the city layout before you explore it. When you’re this high up you can bet the views will be unobstructed. Multilingual audio guides are available. Situated about one hour east of Calgary Atlas-Coal-Mine-National-Historic-Site (110 Century Drive) provides underground tours, train and tipple tours that trace the path of Aberta coal miners in the early days of the 1900s. Ten minutes from the city, Prince’s Island Park (1st Ave & 4th St SW) is an urban park linked to downtown Calgary by 3 bridges with trails along the Bow River. Scores of mallard ducks and geese that liven things up. This is a lovely escape within the city where you can enjoy a cup of coffee while you contemplate the verdant landscape and the island’s feathered residents. Situated in the south west portion of the city along the Elbow River Calgary’s Sandy Beach Park (50th Ave SW) is just below River Park. There are 33 hectares of pathways, playground areas, picnic areas, shelter, canoe access points and washrooms. This is where Calgarians hang out when summer temperatures soar. An artificial aquatic facility, the Sikome Lake Beach is located within the Fish Creek Provincial Park. Open to the public during the summer months, the beach area is equipped with change rooms, concession stands and a play area. The lake is drained during the winter months and filled in the spring time. Established in 1875 by the Royal Canadian Mounted Police Fort Calgary Heritage Site (750 9th Ave SE) is a short distance from City Hall. This is the heart of old Calgary when the vigil Mounted Police protected the area from whisky traders. A favourite destination for school field trips the Calgary Corn Maze Farm (284022 Township Road 224) is a fun place for kids who love to wander around the mazes and try to find their way out. There are lessons about the farm animals, their care and lives on the farm, and other farm life activities. Known by its small and large creatures, the spectacular Calgary zoo even has a prehistoric animal exhibit. The dinosaur park allows you to get close to life-sized replicas of dozens of dinosaurs species. The zoo also offers a safari brunch in the destination Africa Area if you are visiting on Sunday. The easiest way to get there is by using the C-Train that takes you directly from downtown. You can learn more by visiting Expedia’s guide to the Calgary Zoo. Fish Creek Provincial Park (13931 Woodpath Rd) is a massive oasis at the edge of the city with bike trails, picnic areas, ice caves, walking paths, areas for kids and restaurants. The park is clean, beautiful and relaxing enough to spend the entire day. The Shaw Millennium Park (1220 9 Ave SW) has the largest outdoor skateboarding park in North America. There are almost 7,000 sq.-mt. (75,000 sq.-ft.) of skating surface. You can also play sand volleyball during the summer in any of the 4 courts in the park. The Art Gallery of Calgary Art (117 8 Ave SW) also calls itself the Contemporary Gallery due to the presence of contemporary works of art from local and international artists. The ever-changing exhibits always add momentum and an element of surprise to the gallery. Owned by the city, Southland Leisure Centre (2000 Southland Dr. SW) is a recreation complex with a water park and a wave pool, arenas for seasonal public skating and hockey, fitness rooms and racquet ball courts. National Music Centre (13411 Ave SE) is for everyone who loves music, sound and technology. The genesis of the museum began with a pipe organ and gradually expanded over the years. The museum is scheduled to move in a 160,000 sq.-ft building with an ultra-modern architectural style. It houses 2,000 rare instruments and musical artifacts. 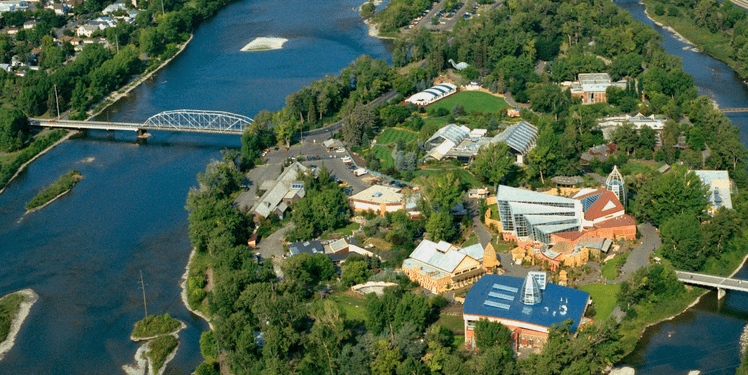 Inglewood Bird Sanctuary and Nature Centre (2425 9th Ave SE) is situated along the Bow River. Spend time strolling along the paths and invite the charming resident birds with an open palm and a few birdseeds. They will come and sit on your hand. Birds are not the only residents of the park, if you’re lucky you can spot other indigenous creatures. Don’t even think of going without your camera. Each November Calgary’s European Film Festival (617 8 Avenue SW) brings together European countries with films from France, Romania, Germany, Switzerland, Croatia, the Republic of Moldavia, Poland, Bulgaria and the Czech Republic. 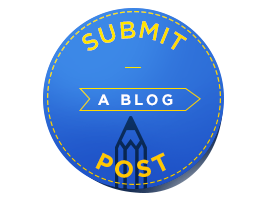 Visit the website for more information about the Festival. The Calgary Folk Music Festival takes place each July at Prince’s Island Park. The Festival features folk music artists from 16 countries on 8 stages. The park turns into a green music venue for thousands of Calgarians who enjoy the easy listening sounds of folk music. Another way to beat the long winter is by participating in the Calgary Winter Carnival at Fort Calgary each February. This is fun for the entire family and activities include carnival games, treasure hunts, face painting, movies and maple syrup candy making. Taste of Calgary takes place around mid August when the weather favours outdoor activities, and alfresco food and drink sampling. The city’s outdoor food festival gives food vendors a chance to serve their ethnic cuisine to hungry crowds. You can buy sampling tickets for $1 each (per sample of food and beverage). Admission is free. Each August Global Fest animates Calgary and lights up the sky with a fireworks competition. The festival consists of 24 cultural pavilions with ethic food kiosks. The Festival is much more than food and fireworks, there are weeklong human rights and youth forums with guest speakers and workshops. Each year the Epcor Centre for the Performing Arts hosts the Calgary International Children’s Festival, featuring age-appropriate entertainment, activities, story telling and puppet shows. May is the magic month for this arts festival with performances from Canada, the USA, Belgium and West Africa. Visit the website for information about prices and schedules. Held at Mount Royal University, Morningside Music Bridge International Music Festival is a month-long event that opens its doors to gifted young musicians of classical music who are between the ages of 12 and 18. The music festival is a partnership event between the governments of Canada, China and Poland, but gifted students from other countries are welcomed. The event takes place in July-August. There is no better way to celebrate the long frigid Calgary winters than with a Festival. Snowfest Calgary is a celebration of the white stuff and all things snow. The festival is not limited to snow sports however, there are seminars on avalanche safety, fundraisers, trade shows, gear demos and activities for children. The Festival takes place in the panoramic setting of the Canadian Rockies. Each year Calgary-based non-profit Fairytales Presentation Society holds the Fairy Tales Queer Film Festival to showcase and celebrate films made by lesbian, gay, bisexual, transgender, two-spirit and questioning (LGBTTQ) individuals. The philosophy behind the festival is to show entertaining work that would otherwise be difficult, if not impossible to show through traditional channels. Each year, from May 28 to June 7 the FunnyFest Comedy Festival features over 70 performers that deliver nothing but laughs and a good time. The Festival will have you in stitches. The largest annual event dedicated to global poverty takes place in Calgary with the World Partnership Walk. The event has been raising awareness about global poverty for over a quarter of a century. Of all the funds that are raised 100% are used to fund programs against poverty. The Walk takes place on Prince’s Island each year. 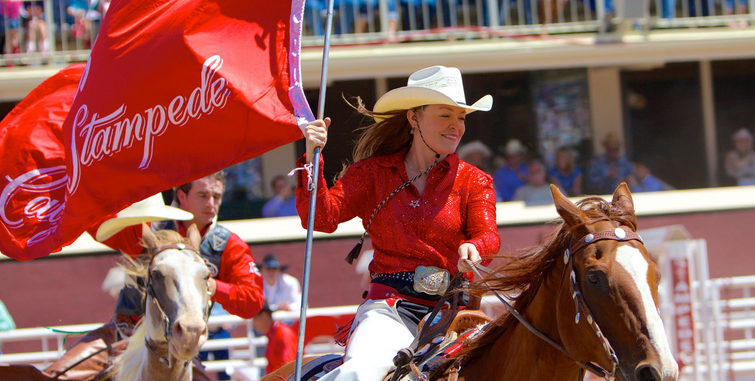 Visit Discover Calgary for a complete list of yearly events and festivals. If you’re lucky you might be in Calgary during the Taste of Calgary food festival where you can sample a variety of ethnic and local cuisines for $1 per sample. Otherwise you can have lunch at any one of Eau Claire Market’s restaurants, cafés and steak taverns. For a bite on the run visit the Market’s Food Court, where you can grab a taco, sandwich or juice. You can cross on e of the bridges that connects Eau Claire Market to Prince’s Island Park is and enjoy your lunch away from the market buzz. This side of town has some of the best restaurants, cafes and pubs. Depending on the time of year, this area is the site of yearly festivities, free food, dancing and parades. The best thing about Stephen Avenue Walk is that it is closed to traffic from 6pm to 6am daily. Spend the rest of the day at the Calaway Amusement Park. The Campgrounds are clean and within walking distance from the theme park. The amusement park operates from May until September, from 8am to 7pm and until 10pm on Fridays and Sundays. If you plan to go during the peak month of July make sure you book well in advance. Rates per night cost CAD$39 plus tax and include water, power and sewer. The area has coin operated laundry facilities, showers, Wi-Fi. The amusement park features many rides and activities for children. The rides include a roller coaster with upside down rides, Tot Yachts that circle around a shallow pool of water for your little captains, children’s “trucks,” a mini train and locomotive, a free falling drop that plummets 40 feet, a carousel, bumper boats and much more. Visit the park website for information about tickets. If you’re lucky you might be in Calgary during the Taste of Calgary food festival where you can sample a variety of ethnic and local cuisines for $1 per sample. Otherwise you can have lunch at any one of Eau Claire Market’s restaurants, cafés and steak taverns. For a bite on the run visit the Market’s Food Court, where you can grab a taco, sandwich or juice. Connected to Eau Claire Market, this urban oasis is a welcomed escape from the hustle and bustle of the market scene. Located in the south west end of the city, between the Calgary Stampede grounds and 14 Street Southwest, this neighbourhood has been designated as a Business Revitalization zone with over 400 bars, shops, night clubs and cafes. Visit the trendy retail shops, relax and cap the night off with dinner and dancing at one of the night clubs. Unwind by strolling the tranquil grounds of the Park and finish off the day with dinner at Bow Valley Ranche Restaurant situated right in the Park. Embark on a journey that traces Alberta’s cowboy roots by travelling across the 735 km Cowboy Trail. Start at Mayerthorpe, west of Edmonton, alongside the Rockies, to the south in Cardston, on Highway 22. This is a full immersion into the rural life of the early cattle- ranching Calgarian cowboys. You can spend the night or several days at any of the ranches along Hwy 22 and forget about urban life for a few days. Explore the Canadian Prairies on horseback, enjoy or participate in a farm-ranch or western themed vacation. Explore the breathtaking ruggedness and wilderness of the Rocky Mountains – Banff National Park country. Traditionally a cow boy city, Calgary has ditched the cowboy boots in favour of a more urban-cosmopolitan profile. Thanks to the 20th century oil boom, a diversified economy and a strong heritage, Calgary enjoys a high quality of life. Many would agree that this is what makes Calgary such a great place to visit! Prices mentioned are subject to change.